Permaculture in practice at Punta Mona evolved gradually out of necessity. There is no road to get here, which means our livelihood relies on natural, off-the-grid resources. We get our energy from the sun, our water from the rain, our soil from our human and plant compost, our food from the plants we cultivate and nourish every day. We live a closed-loop lifestyle here (every system’s output becomes an input) - producing as little unnatural waste as possible, and striving to reuse and repurpose what we can. Using a gravity-fed water-catchment system and two wells on the property, we harvest our water used for drinking, bathing, cleaning, and in our greenhouse. Our drinking water is then purified by a slow sand filter and UV-light system. We contribute to the health of our soil every day through our composting system. Food scraps, coffee grounds, tea bags and egg shells make their way back into nutrient-dense soil through our lasagna-style compost bed method. We maintain these systems 3 times a day, 7 days a week, by inoculating them with dry leaves from the jungle floor, adding effective microorganisms (EM), and allowing our chickens to participate in the process whenever the compost needs a good turn. All of our electrical energy at Punta Mona comes from our incredible renewable resource on the farm - sun! Solar powers the lights in all our structures, our WiFi, our charging stations, and our heated communal showers. 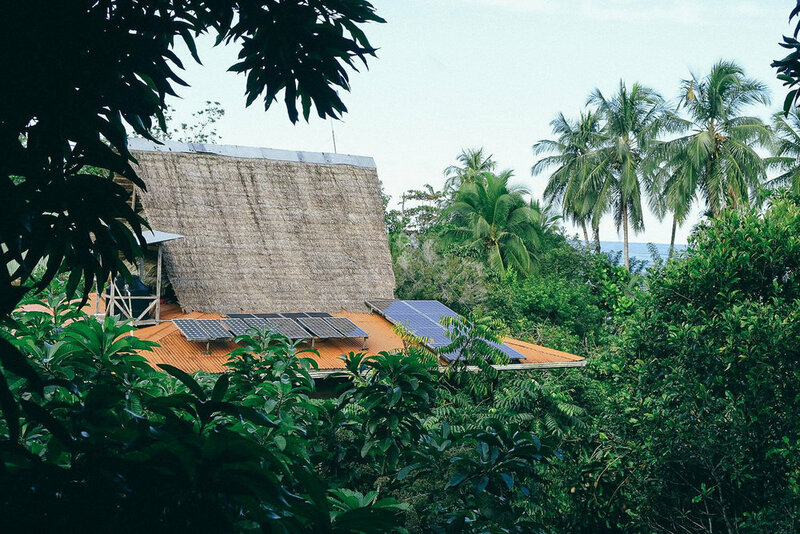 Solar power is a precious resource here in the jungle, where tropical rain is frequent and unpredictable, so we use electricity sparingly, limiting our internet time and relying on soft candle lighting as much as possible. “Produce little to no waste” is a permaculture principle we take very seriously at Punta Mona, but alas… trash happens. We do our best to re-use and recycle our waste, sorting “trash” like plastic wrappers, bottles and containers, paper, tea bags, etc. to be re-purposed in compost, fire kindling, food storage, medicine making, decoration, bottle-bricks and more. We need your help keeping trash at Punta Mona to a minimum - please try not to bring plastic packaging with you, and pack out what you pack in. One of our favorite closed-loop systems at Punta Mona is our humanure composting toilets! We have 12 dry composting toilets throughout the property, that create gorgeous nutrient-rich soil from our human output. After 6-9 months of decomposition, the healthy soil is ready to use in the garden, becoming an important input that feeds our fruit trees, which in turn feed our humans. Dry composting toilets not only save gallons and gallons of water each day, but bring our human-cycle back in balance with the natural ecosystem that supports us. It may take some getting used to, but after a few days at Punta Mona you’ll never want to go back to flushing toilets. Our human “waste” is too valuable to just wash away - it’s a vital resource for our plants! Punta Mona is roughly 85 acres, 35 of which is intentionally cultivated and contains our living spaces and infrastructure, and the rest of which is national forest habitat reservation. The land was intentionally designed and divided into permaculture zones to best suit the placement of the energy systems and crops for frequency of human use and need for caretaking and maintenance. Permaculture Zone 0 is the self; this can be seen as the internal thought process or the body. Zone 1 is the “heart center” of a property that receives daily attention many times each day. We consider our kitchen, living spaces, energy monitoring systems, herb and perennial salad gardens and greenhouse to be our Zone 1 at Punta Mona. Zone 2 includes many of our favorite fruit trees we visit frequently throughout the week, vegetable gardens and chicken coop. Zone 3 includes more of our fruit trees that need less care, our woodshop, outdoor classrooms, camping spaces, nearby backup water systems and some of our favorite medicinal plants and roots like ginger and turmeric. Zone 4 is our areas for harvesting water and solar and also includes fruit trees that do not produce as frequently, bamboo, and our high-quantity production root crops and milpa. 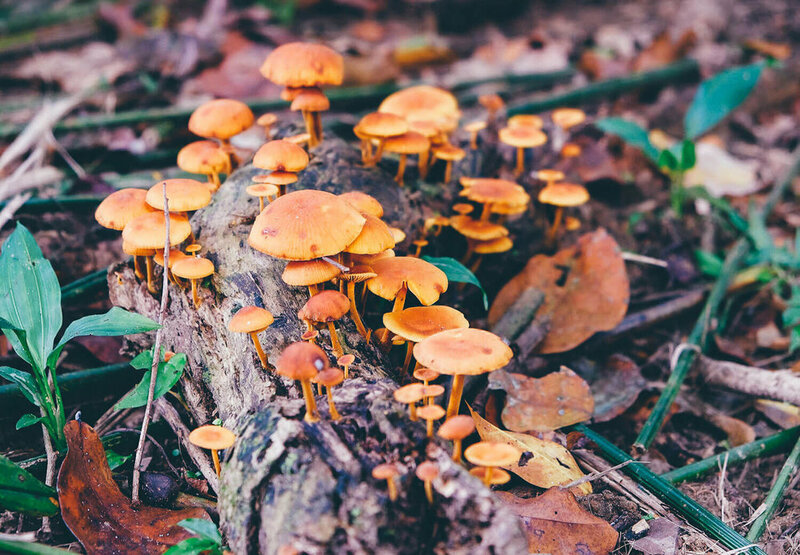 Zone 5 is conservation and primary rainforest jungle that we get to explore and forage for wild mushrooms and other exotic treats from the land.